Back in the early seventies, having recorded and released an album, bands headed out on tour. These tours could be gruelling, and last over a year. Some bands embraced touring, and the rock ’n’ roll lifestyle that came with it. Bands partied through the night, consuming copious amounts of drinks and drugs. Hijinks was also par for the course, with groups taking great delight in wrecking hotel rooms. This included throwing televisions out of windows. It didn’t matter that they were ten stories above the sidewalk. On another occasion a motor bike was driven through the corridors of a hotel. Hell raising was commonplace when rock bands toured during the early seventies. Bands were like a gang, and it was a case of what happens on tour, stays on tour being. This was regardless of whether it was drink, drugs or debauchery. However, not all musicians embraced and enjoyed the gang mentality and rock ’n’ roll lifestyle. This included Brian Eno. For Brian Eno, 1973 was the year the second chapter in his career began. Brian had just left Roxy Music after touring their sophomore album For Your Pleasure. By the end of the tour, Brian had realised the life of a rock star wasn’t for him. He found the life of a rock star tedious. The constant touring, and spending half his life either on stage or in an anonymous hotel room wasn’t for Brian Eno. Then there were the disagreements with Roxy Music’s flamboyant frontman, Bryan Ferry. All this meant that Brian’s time with Roxy Music was at an end. This however, was a huge decision. Leaving Roxy Music was a brave and controversial decision for Brian Eno. Roxy Music were one of the most successful British bands of the early seventies. However, Brian Eno’s creativity was being stifled. He felt that he had much more to offer music. Having toured For Your Pleasure, a frustrated and restless Brian Eno left Roxy Music, and embarked on a solo career. Having left Roxy Music, straight away, Brian Eno began work on his debut album Here Come The Warm Jets. It was released to critical acclaim in 1973. Since then, Brian Eno has enjoyed a long successful career, and recently released over twenty solo albums. 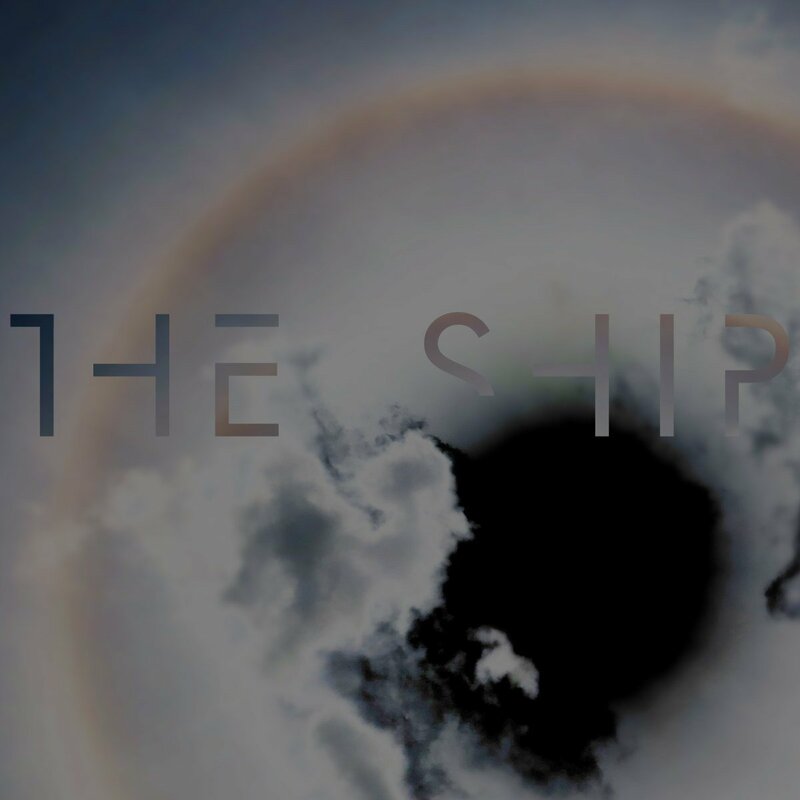 Brian Eno’s most recent album is The Ship, which was recently released by Warp. It’s Brian Eno’s first album since the Grammy Award winning Lux, which was released in 2012. By then. Brian Eno was one of the veterans of British music. After releasing Here Come The Warm Jets in 1973, Brian Eno has enjoyed several careers. There’s his career as a solo artist, which includes his role as one of the founding fathers of modern ambient music. Brian Eno’s first ambient album was Ambient 1: Music For Airports, which was released in 1978. It was hailed a classic, and was the first of four volumes in the groundbreaking Ambient series. However, by the time the Ambient series drew to a close in 1983, Brian Eno not only had released other ambient classics. Music For Films and Ambient 4: On Land were two of Brian Eno’s finest ambient albums. However, he by 1983 he released several high profile collaborations and worked as a producer. Having collaborated with John Cale, Robert Fripp and Kevin Ayers between 1973 and 1975, other artists and groups were keen to work with Brian Eno. He worked with Cluster, Harmonia, Jon Hassell, Peter Sinfield and David Byre. Brian Eno had also worked with Harold Budd and Laraaji on two volumes of the Ambient series. Brian Eno was always in demand for collaborations, and that would be the case throughout his career. It was the same with production. Ever since leaving Roxy Music, Brian Eno had been in constant demand as a producer. Everyone from John Cale and Penguin Cafe Orchestra to Ultravox, Talking Heads and Devo worked with Brian Eno between 1974 and 1983. Since then, he’s worked an eclectic selection of artists. This includes Toto, U2, Laurie Anderson, John Cale, James, David Bowie, Baaba Maal, Grace Jones and even Coldplay. In a production career that’s spanned forty-two years, Brian Eno has produced nearly fifty albums, including many that have been certified gold and platinum. Still, though, Brian Eno finds time to record and release solo albums. Brian Eno’s most recent solo album is The Ship, which he produced with Peter Chilvers. The album title The Ship, is a reference to the sinking of the Titanic. It’s a subject that has long fascinated Brian Eno. He refers to it as: “the apex of human technical power, set to be Man’s greatest triumph over nature.” Given Brian Eno’s fascination with the Titanic, it’s no surprise that the subject would provide inspiration for an album. Originally, though, The Ship was going to be a sound installation. However, then Brian Eno’s thoughts turned to a new album. His last album was released back in 2012. A new album would allow Brian Eno to explore the sinking of the Titanic, and showcase his new voice. Now aged sixty-eight, Brian Eno is discovering that time waits for no man. He’s also discovering that the human voice changes with age. In Brian’s case, he can now sing in low C (C4). That’s very different to early in his career. However, it allowed him to sing a song that he describes as one “you could walk around inside.” It seems, for Brian Eno, growing old has its advantages. So Brian Eno began work on the recording of The Ship. For The Ship, Brian Eno had written The Ship, Fickle Sun (i) and Fickle Sun (ii) The Hour Is Thin. The other tracks was Fickle Sun (iii) I’m Set Free. It had originally been penned by John Cale and Brian Eno as I’m Set Free, and featured on The Velvet Underground’s 1968 eponymous album. These songs would become The Ship. When recording of The Ship began, Brian Eno had brought together some of his most trusted musical lieutenants. Peter Chilvers co-produced, recorded and took charge of programming on The Ship. He also added keyboards and vocoder. Nuria Homs’ voice features on The Ship. So do Members of The Elgin Marvels. Peter Serafinowicz’s voice features on Fickle Sun (ii) The Hour Is Thin. Guitarist Leo Abrahams, keyboardist Jon Hopkins and Nell Catchpole on viola and violin feature on Fickle Sun (iii) I’m Set Free. Once the four tracks were recorded, the release of The Ship was scheduled for 29th April 2016. This was one ship that wasn’t going to sink. Far from it. When The Ship was released, it reached number 175 in the US Billboard 200 and twenty-eight in the UK. For Brian Eno, this was a cause for celebration. The Ship became his most successful album in the UK since 1981s My Life in the Bush of Ghosts. Elsewhere, The Ship charted in Belgium and Ireland. Brian Eno was enjoying a commercial Indian Summer to a career that’s lasted forty-six years. Still, Brian Eno is determined to innovate and push musical boundaries, on The Ship. The Ship opens with the title-track, which is a twenty-one minute epic. A drone is panned, left as if sending out a warning sound. Maybe The Ship is heading towards an iceberg? Soon, it’s joined by a wash of slow, melancholy synths. When they drop out, the drone returns. When they combine, the sense of melancholy and sadness increases. This adds to the cinematic sound. So do the crystalline and lush synths. They’re part of a rueful, dramatic and wistful ambient soundscape. It washes over the listener. Especially the synth strings. Later, futuristic, bubbling sounds emerge from the arrangement. It seems The Ship is sinking. By then, Brian Eno’s vocal has entered; and it’s delivered via a vocoder, as a myriad of futuristic, sci-fi, elegiac, jagged, clanging, buzzing and bubbling sounds accompany him. It’s as of Brian Eno is trying to replicate the sound of a ship that’s been ripped in half. As beeps and bubbling sounds emerge from the arrangement, the sound of radio news can be heard. As the drama builds, sounds assail the listener. Nuria Homs’ delivers her part in Catalan, while Brian Eno’s vocal is slow and deliberate, constantly adding to the drama. Still, shrieks and beeps escape from the arrangement. So does the sound of the bell ringing. The bell has tolled, but for whom? It’s tolled for Brian Eno, as he carefully says: ”wave after wave after wave.” It’s a moving and thoughtful ending to this twenty-one minute Magnus Opus, that finds Brian Eno at his innovative best. Fickle Sun (i) is another lengthy track, and lasts around eighteen minutes. The arrangement is understated and spacious. Less is more, as percussion sets the scene for the synths. They’re best described as ethereal, industrial and futuristic. Sometimes, it as if they’re trying to create an industrial backdrop. Briefly, the arrangement heads in the direction of free jazz, with horns howling but in a strangely melodic way. Then Brian’s vocal enters. As he sings: “another day and the work is done, we toll away the fickle, another day the wire is done, so the dismal work is done.” There’s no emotion in Brian’s voice. Instead, it’s as if he’s been worn down by the drudgery of repetitive, boring work. It’s as all this has been building up, and ridding himself of all this frustration is cathartic. Then when his vocal drops out, the drama grows and builds. Horns bray combines with shrill synths strings and create a dark, dramatic backdrop. Later, a church organ is added there’s a disbelief in Brian’s voice as he sings: “all the boys are falling down, unto ashes everyone.” The song has become a lament at the needless loss of life during war. Much later, the sound of a life support is replicated, as Brian reflects: “when I was a young soldier.” His vocal is accompanied by a vocoded vocal and cinematic sounds. It’s a poignant combination. Especially as the drama builds, and this cinematic track reaches a crescendo. Just a wistful piano accompanies actor Peter Serafinowicz’s reading of the Fickle Sun (ii) The Hour Is Thin. It picks up where the previous track left off, and deals with the subject of war. Anger and frustration fill Peter Serafinowicz’s voice. His reading is impassioned, and he treats Brian Eno’s words like a script. He highlights words, adding drama and theatre. It’s a captivating performance that’s designed to make listeners think about the folly of war. Closing The Ship is Fickle Sun (iii) I’m Set Free, which was originally covered by The Velvet Underground in 1968. Brian Eno stays true to the original, using some of his most trusted musical lieutenants to accompany him. With just a piano, drums, guitar and keyboards combine with Brian’s vocal to create an anthemic track with a feel good sound. Later, strings are added, and they’re just the finishing touch what’s a beautiful and hopeful sounding track. It’s very different to the rest of The Ship, and is guaranteed to leave the listener wanting more. Forty-two years after releasing his groundbreaking debut album Here Come The Warm Jets in 1974, Brian Eno is still making music that’s innovative, imaginative and relevant. The same can’t be said of many of his contemporaries. However, Brian Eno is different. Brian Eno has always been determined to reinvent his music, in an attempt to ensure that the music stays relevant. That is the case with The Ship, Brian Eno’s first album since Lux in 2012. The Ship is a return to form from one of the elder statesman and Godfather of electronic music. He continues to embrace new technology to make The Ship. This includes Ableton Live, one of the leading digital audio workstations. Along with a variety of keyboards plus traditional instruments like a piano, guitar and strings Brian Eno and his band have recorded a truly captivating, cinematic and cerebral album. The Ship and The Fickle Sun (i) are both cinematic epics that are guaranteed to make the listener to think. On The Ship, Brian Eno revisits the sinking of the Titanic, and replicates the disaster in a twenty-one minute Magnus Opus. Then on The Fickle Sun (i), Brian Eno begins with the frustrated worker toiling under the hot sun, to the battlefield, where he discuses the folly of war. This continues on The Fickle Sun (ii) The Hour Is Thin, which is a poignant and moving track. However, Fickle Sun (iii) I’m Set Free which closes The Ship is a mixture of hope and beauty. It’s a remake of a track from The Velvet Underground’s 1968 eponymous album. Brian Eno stays true to the original, and shows another side to his music. However, mostly The Ship is album that’s guaranteed to make the listener think and toy with your emotions. During The Ship, Brian Eno takes the listener on a journey. For four tracks lasting forty-seven minutes, he paints pictures in your mind’s. Sometimes he takes you places you neither expected nor wanted to go. This includes the battlefield, where people are hardened to the needless loss of life. However, The Ship is captivating piece, which the listener should embrace and let wash over them. As they do, it’s a case of letting their imagination run riot. if they do, they’ll be richly rewarded. No wonder; The Ship is a musical journey that’s variously melancholy, wistful, challenging, beautiful, elegant and always, innovative. While many of Brian Eno’s counterparts cease to be relevant musically, Brian Eno is forever the innovator, and forever inventive, creative and open to experimentation musically. That’s been the case throughout a solo career that’s lasted forty-two years and over twenty albums. Brian Eno’s latest album, The Ship which is available as a collector’s edition and comes complete with a cloth bound cover and art cards. The Ship is a welcome addition to Brian Eno’s discography and is an album that’s a truly innovative, captivating, cinematic and cerebral album. ← THE INDEPENDENTS-JUST AS LONG-THE COMPLETE WAND RECORDINGS 1972-74. I think its a good album, but maybe would be better served by those two long tracks being broken up into seperate parts or movements, to enable the structure to be more defined. There is a randomness to the lyrics because, like those of Underworld, they really are picked and assembled at random (I think Eno uses a computer program). This annoys me, as how can the lyrics really mean anything if they aren’t written/created by a thought process? To my mind it weakens the sense of authorship and identity/message. Thanks for your comments. You’ve made some really good points. I’m in total agreement that the two long tracks would’ve been better separated into movements. Especially with The Ship. On the inside of booklet, there’s last of headings for The Ship. Something along these lines would’ve worked. That would’ve told the story better. There is a randomness to some of the lyrics. Strangely, parts of them make sense. Like you, I’d rather they had been left alone. By cutting up the lyrics, I agree it weakens the message. I would’ve liked to hear the original lyrics before they had been cutup. There could’ve been two discs before and after. Much of The Ship was recorded using the digital audio workstation Ableton Live. It would be used to cutup and reassemble the lyrics. Ableton Live also uses a vocoder in the program. It sounds as if it’s been used on The Ship. Having said all that, it’s always good to hear a new Brian Eno album. Hopefully, it won’t be another four years until the next one.